Don’t forget the parties! 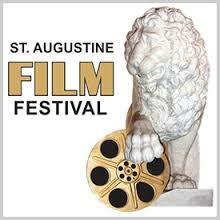 The festival will kick off at the Opening Night Party on Friday, January 20 at the Lightner Museum Ballroom. A Centerpiece Party (January 21 at the Collector Luxury Inn & Gardens) and Wrap Party (January 22 at The Solarium atop Ponce Hall) give patrons a chance to mingle and discuss their top film choices. There are several ways to attend the festival. Movie goers can either purchase a pass to any and all films ($95), buy a pass to all films shown at the Lewis Auditorium ($55), or purchase individual tickets for each chosen film (regular $10, senior $8, military or student $7). Visit the festival’s ticket page to learn more, read about ticket availability and order passes.